The best calcium supplement should be independently certified for accuracy and purity. It should include vitamin D to aid in absorption, and it should rely on a form of calcium that's easy for your body to process — like calcium citrate. To find the best, we talked to doctors and consulted clinical research, and then checked out 11 finalists for ourselves to see which were the most palatable. Consumer Lab - A leading provider of independent test results for health and nutrition products. United States Pharmacopeial Convention (USP) – A scientific nonprofit organization that tests medicines and food supplements. 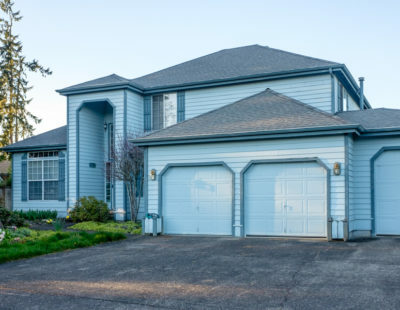 Labdoor– An independent company that focuses on testing dietary supplements. NSF International – An international organization that sets standards for consumer product safety. We only considered calcium supplements that included vitamin D. Why? In order for your body to properly absorb calcium, it’s important that you’re also getting enough vitamin D – and most people aren’t. A 2009 study found that three out of four US adults were deficient in vitamin D, and the National Institutes of Health (NIH) reports that older adults are at particular risk. Vitamin D isn’t the only nutrient that helps your body use calcium effectively. Dr. Carolyn Dean, medical advisory board member of the Nutritional Magnesium Association, points out that it’s also important to maintain proper levels of vitamin K2 and magnesium; these work synergistically with calcium. But it’s not necessarily a good idea to bundle these nutrients together within your calcium supplement. Calcium and magnesium can compete with each other for absorption if taken at the same time, and vitamin K poses a similar problem, competing with vitamin D.
Size: How large were the supplements? While calcium is a bulky mineral, we looked for pills that were still small enough to swallow comfortably. Smell: Most of our finalists didn’t have a strong smell. But Nature's Bounty Calcium Plus Vitamin D3 and Schiff Super Calcium were the exception, with off-putting, fishy odors that we couldn’t get past. Packaging: Since calcium deficiency can lead to decreased hand strength, we double-checked that all bottle tops were easy to open. Easy-to-swallow calcium tablets that don’t need to be taken with a meal. 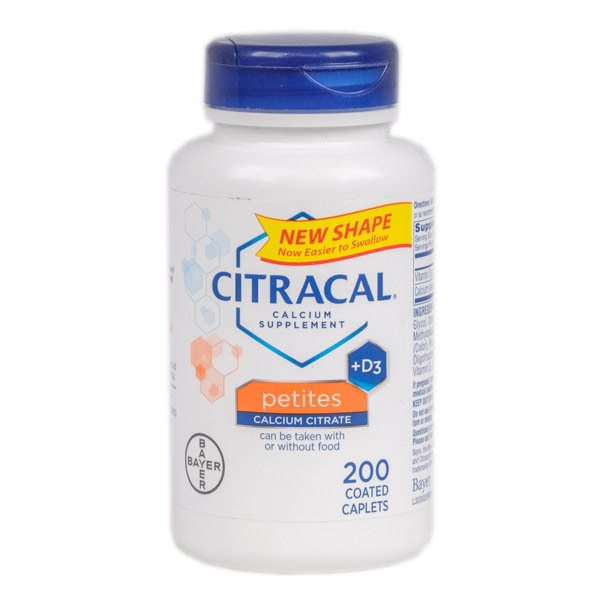 Citracal first caught our eye because it provides calcium in the form of calcium citrate. This form of calcium is pricier for manufacturers to source, so you won’t see it as often on ingredient labels. But research suggests it’s also the form that’s easiest for your body to absorb. In fact, a study from the U.S. National Library of Medicine concluded that calcium citrate’s absorption rate was 22-27% higher than the much more common calcium carbonate. Calcium citrate can also be taken without a meal: Because it’s acidic, your stomach can easily break it down and process it. Non-acidic forms of calcium need the help of stomach acid (which your body only produces when you eat) to be fully absorbed. Citracal also stood out for being easy to swallow. Calcium in any form is a bulky mineral, so most of the pills we tested were quite large. Nature Made, for example, offered thick tablets with pronounced edges that felt likely to stick going down, while Nature’s Bounty’s pills were so large we weren’t sure we could swallow them. But Citracal comes in smooth, slender caplets roughly the size of a Tylenol. The production of Citracal mostly involves synthetic ingredients. While there’s no clinical evidence to suggest that food-based supplements are superior, some people prefer this option based on the theory that nutrients work together synergistically in their natural state and can be less potent when created synthetically. A food-based supplement that also includes herbal extracts for bone strength. This natural pick includes the herbal additives horsetail and spirulina, which studies have suggested may help reduce the risk of osteoporosis thanks to their bone-strengthening qualities. Also present is boron, a mineral similarly thought to improve bone strength. 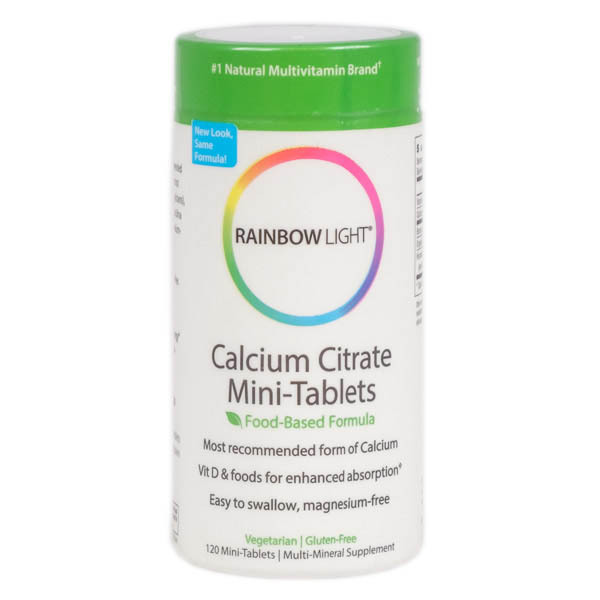 Rainbow Light also includes calcium citrate, with each pill providing 200 mg of calcium and 200 IUs of vitamin D. Furthermore, these tablets are food-based, meaning that their nutrients are sourced from whole foods rather than being synthetically produced. Rainbow Light received a respectable 75/100 from third-party testing group Labdoor. Third-party testing is essential to ensure the purity and safety of any supplement to ensure you’re getting all the right stuff, and nothing else, from your calcium supplement. As is often the case with food-based supplements, the price tag for Rainbow Light was significantly higher than our other picks. 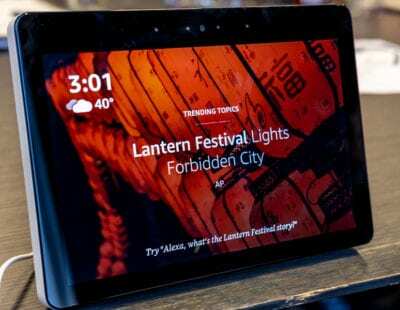 While the price may vary based on where you shop, we found Rainbow Light for $0.11 per pill on Amazon, compared to $0.02 per pill for Citracal. But if you’re willing to pay more for an all-natural option, it’s our favorite. A chewable option to take with a meal. Vitafusion’s “natural fruit and cream” flavor reminded us pleasantly of Creme Lifesavers. 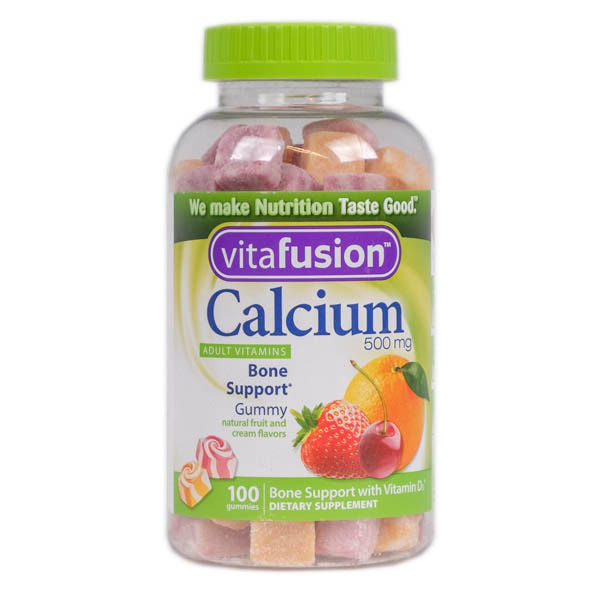 We preferred Vitafusion to options like Nature Made Adult Calcium Gummies, which we found overpoweringly sweet, or Nature’s Way Alive, which had a strong medicinal scent. Vitafusion gummies do leave a faintly chalky aftertaste behind, but this was true of all the options we tried. At $0.08 per gummy, this option is priced in between our other top picks. Each gummy offers 250 mg of calcium and 500 IUs of vitamin D.
It’s important to note that none of the chewable supplements we tested contained calcium citrate. Vitafusion uses tricalcium phosphate — an option that didn’t receive as much ire from our experts as calcium carbonate (which Dr. Dean told us she never recommends), but it’s still less absorbable than calcium citrate. This means Vitafusion should be taken with a meal to help absorption. Be sure to speak with your doctor before taking any of these. They can help you determine if you actually need a calcium supplement and may make specific recommendations. Most health organizations, suggest that women ages 19-50 should shoot for 1,000 mg of calcium a day, while women aged 51 and older should aim for 1,200 mg of calcium a day. According to the Mayo Clinic, men generally do not need calcium supplements. Men have a much lower risk of osteoporosis than women, whose bodies tend to absorb less dietary calcium as they age. But despite this high daily allowance, calcium supplements should always be taken in doses of 500 mg or less. Dr. Keith Kantor, CEO of the nutrition initiative NAMED, explained that there’s only so much of the nutrient that our bodies can absorb at one time. He suggests taking half your needed calcium in the morning, and the other half at night. The National Institutes of Health (NIH) explains that without vitamin D, the human body is unable to form a hormone called calcitriol, which makes it hard to absorb calcium from dietary sources. Instead, your body will start to use up calcium stored in the skeleton — which weakens your existing bone structure. When you’re shopping for calcium supplements, avoid those that don’t come with Vitamin D. Our top picks have both. Magnesium works synergistically with vitamin D and calcium by stimulating the specific hormone calcitonin, which helps to preserve bone structure and draws calcium out of the blood and soft tissues back into the bones. This helps prevent osteoporosis, some forms of arthritis, and kidney stones. Magnesium aids in the transport of calcium and potassium ions across cell membranes. This process is critical for nerve impulse conduction, muscle contraction, and normal heart rhythm. Vitamin K, meanwhile, is needed in order for calcium to build bone. Should I be worried about additives and fillers? Where else can I get calcium in addition to supplements? How much Vitamin D do I need alongside calcium supplements? Our top picks offer between 400 and 1,000 IUs of vitamin D per serving, a range that matches commonly recommended supplementation levels. You can check out our vitamin D review to learn more, but know that you’d have to consume about 4,000 IUs a day before toxicity becomes a concern.